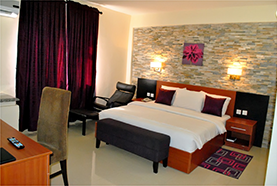 After a long journey or a busy day at conferences or event, it is nice to know that you have a place like Dannic Hotels Calabar to retire to one of our stylish, yet comfortable en suite bedrooms. 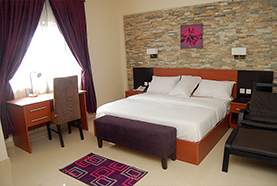 We have 69 en suite bedrooms for you to choose from, all modern, spacious and stylish.All our room include those little finishing touches to make your stay more enjoyable. 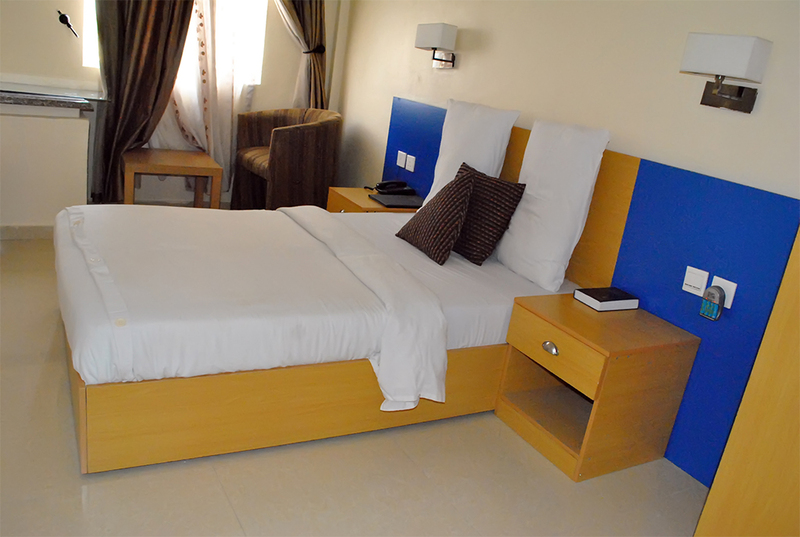 Our Standard Rooms include Queen size bed, air-conditioning; satellite TV, Wi-Fi, occasional chair, functional desk and in-room tea and coffee making facilities, bath, intercom, mini bar. Our spacious, stylish and modern rooms include king size bed, air-conditioning; satellite TV, Wi-Fi, occasional chair, functional desk and in-room tea and coffee making facilities, bath, intercom, mini bar. 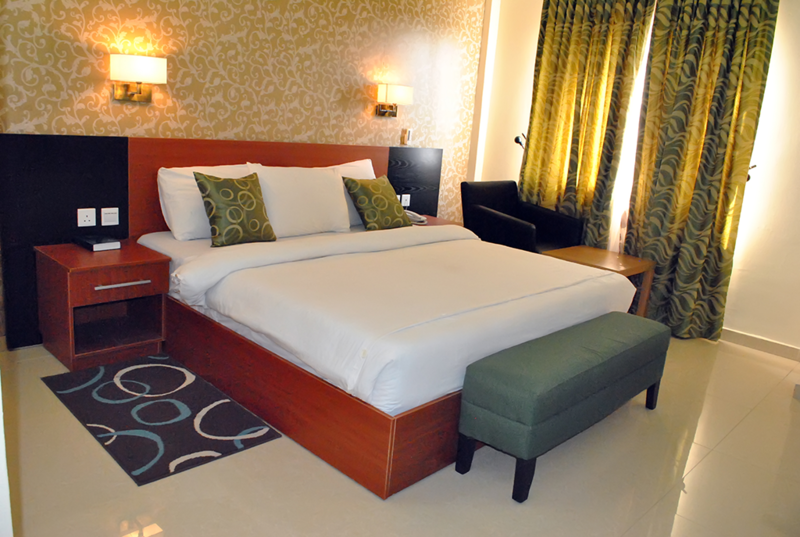 Enjoy a larger Room with King size bed in one of our Galaxy Rooms. This also includes amenities like air-conditioning; satellite TV, Wi-Fi, occasional chair, functional desk and in-room tea and coffee making facilities, bath, intercom, mini bar. 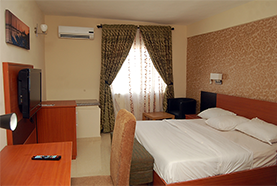 Our two-bedroom Royal Tulip in Dannic Hotels Calabar, offers two bedrooms with king size and queen size bed respectively, a dinning section with 2 Chairs. 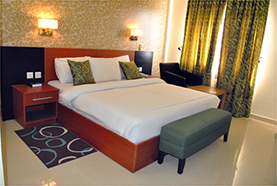 The Royal Tulip has all the amenities of a Galaxy Room as well as ample residential-style living area which ensures utmost privacy, comfort and space for you and your family to relax and entertain in unrivalled style.